Today we are interviewing David J.Fielding, best known in Ranger Nation as Zordon, the Power Rangers’ mentor in Mighty Morphin’ Power Rangers through In Space. He voiced Zordon in the first season of the show and his likeness was used for all of Zordon’s appearances. David holds two degrees in acting - a BFA from Texas State and an MFA from the University of Pittsburgh. In addition to his stage and film work, David has provided voice work for video games, including Empire Earth and Dungeon Siege: Legends of Aranna, and Anvil of Dawn. His published works have appeared in Nevermet Press; Rebel ePublishers LLC, Source Point Press, the Capes and Clockwork Anthology from Dark Oak Press and the recently released Something Strange is Going On anthology from Flinch! Books. His novella Buddy Holly and the Cold, Cold Ground was released by Cool Beans in October 2014. We also nerd out about comic books and comic book movies including a lot of the Marvel Cinematic Universe! Let the Power Protect you! In "Rangers Batty in the Sun" we are joined by Chris aka @rankal from TokuNation and the Talkin' Toku podcast and we discuss Bat in the Sun's production of "Ryu vs. The Green Ranger" Super Powered Beatdown starring Jason David Frank. We also discuss the 5 year anniversary of Saban Brands in our news segment as well as Questions From Ranger Nation. We answer such questions as our least favorite series of Power Rangers, podcast tips, the MMPR Movie date pushback, our thoughts on Ninninger and Kamen Rider Drive, and what we think we'll see Power Rangers related at San Diego Comic Con. Then we get a little batty as we discuss our own Ranger related beatdowns. Long live the silver stripe. 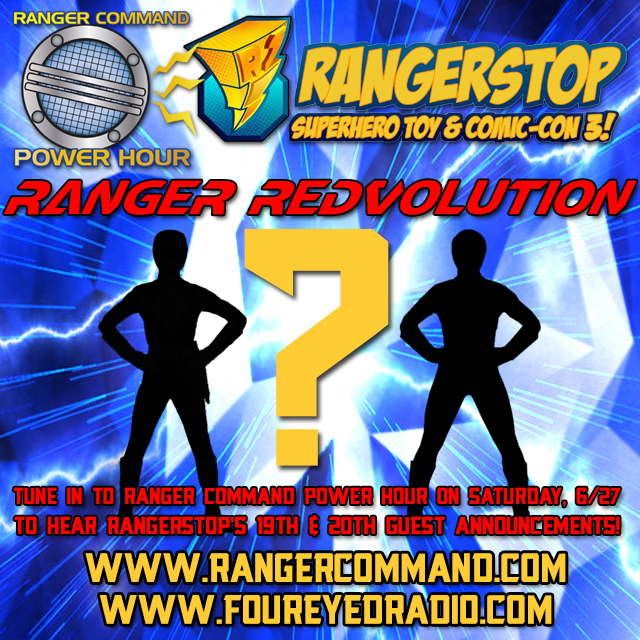 Four Eyed Radio Network with RANGER COMMAND POWER HOUR! In this extra episode brought to you by our patrons on Patreon, we review the last episode of Power Rangers Dino Charge before the dreaded hiatus: "Double Ranger, Double Danger"
We also talk about the Power Rangers reboot movie zord concept artwork being taken down on various websites and the latest crop of Power Rangers merchandise we received from Saban Brands as part of the Power Force. In a bit of a surprise we have another bonus episode for you this weekend. One of our listeners, Charlie Niemeyer also known as @orangeranger198 on Twitter, went to the Tulsa Comic Expo this weekend and recorded the Power Rangers panel there. NAKIA BURRISE who played Tanya in Power Rangers Zeo and Turbo. CATHERINE SUTHERLAND who played Kat in Mighty Morphin' Power Rangers season 3, Zeo and Turbo. JASON NARVY who played Eugene “Skull” Skullovitch in Mighty Morphin' Power Rangers through Lost Galaxy and cameos in "Forever Red" and Power Rangers Super Samurai. and PAUL SCHRIER who played Farkas “Bulk” Bulkmeier in Mighty Morphin' Power Rangers through Lost Galaxy and cameos in "Forever Red" and came back to play Bulk for Power Rangers Samurai and Super Samurai. One year ago it all started with the first Talkin' Ranger Toku Command crossover. 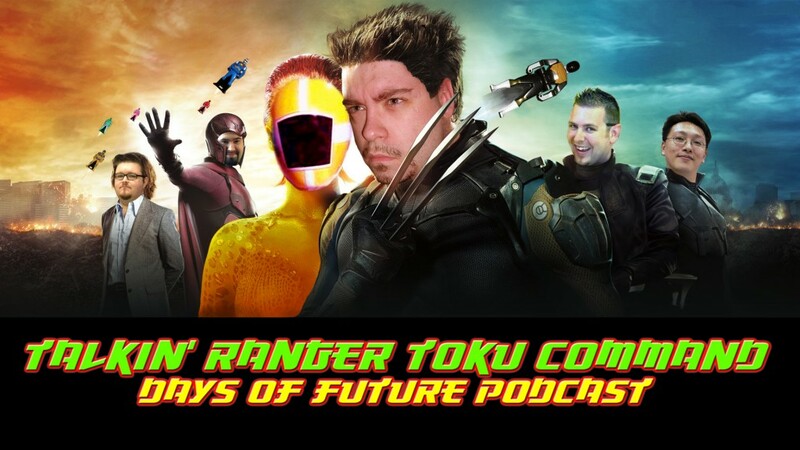 Now it's time for the EPIC conclusion with Ranger Command Power Hour & Talkin Toku Crossover Part 4 – Days of Future Podcast. We are joined by our brothers in Podcast Arms - Talkin’ Toku At The Nation - Chris @rankal, Jordan @DenO_Tokunation and Tom @SoulinkChu! In this crossover, the Rangers must face the consequences of past crossovers and deal with a threat from within. Then the crossover team discusses Power Rangers Dino Charge vs. Zyuden Sentai Kyoryuger. The early episodes, the relationships, the characters and more. Finally, once the discussion ends it's the final conclusion to our epic crossover saga. Afterwards enjoy some hilarious bloopers, 15 minutes of them! A.P. aka @secretrangerfan as Future A.P., A.P. Today we have a special #RangerNation Spotlight with Steven Zurita aka @StevenZurita – Animator, Director, Writer, Editor, VFX Artist for Annoying Orange, the “Sour Rangers” short and HyperDrive Pictures on YouTube with “Power Rangers Essentials”, Interviews from Power Morphicon, VFX tutorials, original content and more! This marks his second appearance on Ranger Command Power Hour after our Power Morphicon Detox on Episode 20! We also discuss the latest news including the Power Rangers Dino Charge Power Up being revealed, comments from Director Dean Israelite about the MMPR Reboot movie, and the bios of the Gold and Graphite Dino Charge rangers! Last edited by trekkieb47; June 13th, 2015 at 07:48 AM. In June's extra episode brought to you by our supporters on Patreon, we review the Mighty Morphin' Power Rangers Action Vinyl series from The Loyal Subjects. What are our thoughts on these unique figures? Where can you buy them? What exclusives will The Loyal Subjects have at San Diego Comic Con? Find out here. PLUS in our news segment we discuss the Dino Super Charge official announcement, the Licensing Expo trailer, and Bandai's SDCC exclusives. IT'S TIME FOR MORE RANGERSTOP! Before we get into our main episode, we announce the 19th and 20th guests for RangerStop. We want to thank Mikey Buoni, Mike Valdes and Susan Matisi for their help with this announcement. Then in "Rangers Together, Questions Forever", we answer your questions in a whole episode of our "Questions from Ranger Nation" segment. Who do we cast in a Power Rangers version of Marvel and DC Superheroes? 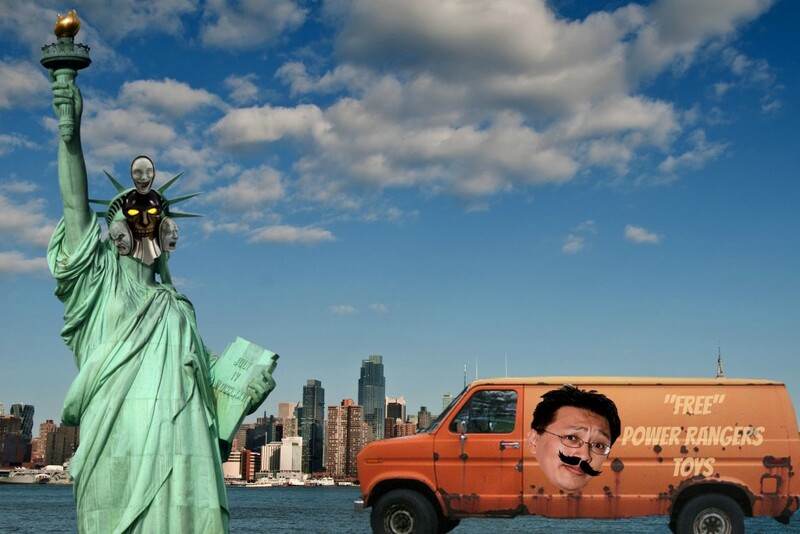 What would our own Megazord look like? Chicago SPD? Our favorite Toku songs and more! We also take the Power Rangers generation quiz from Nick.com with hilarious technical difficulties. In our second commentary track episode, our hosts do some drinking while watching "Mighty Morphin' Power Rangers: The Movie". 20 years ago to the day the MMPR movie captured our imaginations as children, so how does it stand up today? This episode is meant to serve as an episode commentary like what you would find on a DVD or a Riff track. For maximum enjoyment please watch along with us! We are watching the DVD editions of the movie. As of today it is not available on streaming aside from Amazon Prime. This episode may not be suitable for minors. On this episode we welcome back Cisco Davis Jr., creator, director, writer, and producer of the recently released Power Rangers fan film Zordon of Eltar and the previously released Teenagers with Attitude short film. We catch up with Cisco and learn about his plans for the future. Then we dive into the recent drama over the MMPR Reboot Movie from Heroic Hollywood's tweets. We discuss what went wrong and who was involved and the fallout afterwards. Finally, in an addendum we recap the biggest #PowerRangersSDCC reveals from San Diego Comic Con 2015. We drool over the new Legacy Thunder Megazord as well as the Dino Drive mode which made a live appearance at the show. It's time to get CHARGED UP! On this episode we welcome back frequent guest co-host to the show, Chris aka Kickback! He shares all of his stories and experiences from San Diego Comic Con. He interviewed Executive Producer Chip Lynn of Power Rangers Dino Charge, talked with Bandai America about the latest in toys, attended the Dino Charge panel hosted by Andre the Black Nerd and more! Then A.P. and Eric discuss Shout Factory releasing Dairanger and what they want to see next in domestic sentai releases. They also talk about the upcoming Megazord Madness contest, and Eric previews our next bonus episode all about G-Fest! You don't have to wait in a line to listen to this episode! Last edited by trekkieb47; July 18th, 2015 at 06:58 AM. On July 11th, host trekkieb47 attended G-Fest 22. G-FEST is a family-oriented convention which caters to a wide variety of interests within the kaiju genre. It is the largest regular gathering of Godzilla and Japanese monster fans in the world. Held every summer, it typically attracts more than 1000 attendees and has seen a gradual increase in attendance over the past few years. In this episode we present Noboru Kaneko's panel in its entirety. Noboru-san played the character of Kakeru who transformed into Blazing Lion, GaoRed, leader of the Gaorangers. Gaoranger was Toei Company’s twenty-fifth production of the Super Sentai series, which aired in 2001, celebrating the 25th anniversary of the franchise. For Godzilla fans, Mr. Noboru is best known for his role as lead scientist Yoshito Chujo in Godzilla: Tokyo S.O.S. Speaking of Tokyo S.O.S, at the end of Noboru's panel we are including panel highlights from Masaaki Tezuka, Director for the Godzilla Millennium Series movies Godzilla vs. Megaguirus, Godzilla Against Mechagodzilla and Godzilla: Tokyo S.O.S. We also discuss NEW Dino Charge episode descriptions, Latin America airings, a Gold Ranger fake out, the new MMPR Reboot producers and Power Morphicon. The hosts also answer questions from Ranger Nation. Are you ready for new Dino Charge? Because we are! On this episode, we talk about SPOILERS in the fandom. Well... the concept OF spoilers. We don't actually spoil anything. Promise. Unless you have not watched Empire Strikes Back. We also discuss NEW Dino Charge episode descriptions, France releasing all of the Dino Charge episodes soon, the new MMPR movie reboot character descriptions, the Bristol Balloon Fiesta, Yoshi Army and Power Morphicon. The hosts also review Power Rangers Dino Charge Episode 9, "When Logic Fails" and answer questions from Ranger Nation. New Dino Charge? It's HERE! This Saturday our extra episode for August comes out and we discuss all of the Power Rangers themes. Then, September 5th, our 50th regular episode will be released! We want to hear our listener's thoughts on what we should do for this occasion. Best of clip show? Bloopers? Normal episode? Let us know what you think. And as always thanks for listening! In August's extra episode brought to you by our supporters on Patreon, we are joined by frequent co-host of the show Chris aka Kickback (@rankal) and talk about ALL of the Power Rangers Theme Songs throughout the years. We commemorate 22 years of the franchise through the music the show has given us. From Ron Wasserman to Noam Kaniel, we discuss the best and the worst theme songs. We also talk about the latest news in the fandom like Jason David Frank on Chicago's WGN Radio, an updated Power Rangers Dino Charge schedule, and the Power Rangers Museum at the Dubai Mall! Go Go Power Rangers, don't you ever stop! On this episode, we celebrate 50 (regular) episodes by doing what we do best, a normal episode. anniversary/milestone episode was your favorite. Finally, we have a headache about cosplay and body shaming, then lighten things up with bloopers! Thanks again for listening to us and here's to 50 more! On this episode, our hosts got together at Zach's house to watch the Power Rangers Dino Charge Gold Ranger's debut and eat pancakes! Joining Zach and Eric are Chris (@rankal) and first time podcaster and Eric's girlfriend, Theresa (@thetg17)! We discuss the MMPR Reboot movie's filming location and review Episode 11 of Dino Charge, "Breakout". Then we answer your questions like what color ranger and team would join, which two Power Rangers teams should join up for an entire season and what was our favorite 6th/Extra Ranger debut! Join us for a ton of laughs, and pancakes are optional. WARNING: This episode is uncensored and includes unbleeped swearing. In September's extra episode brought to you by our supporters on Patreon, we assemble the MMPR Movie Reboot Roundtable with Chris aka Kickback (@rankal), R.J. aka Uchi (@animeredneck96) and Lee of The Monkie Grid (@MonkieRanger) to talk about the newest casting sides for the movie... and badly act them out. 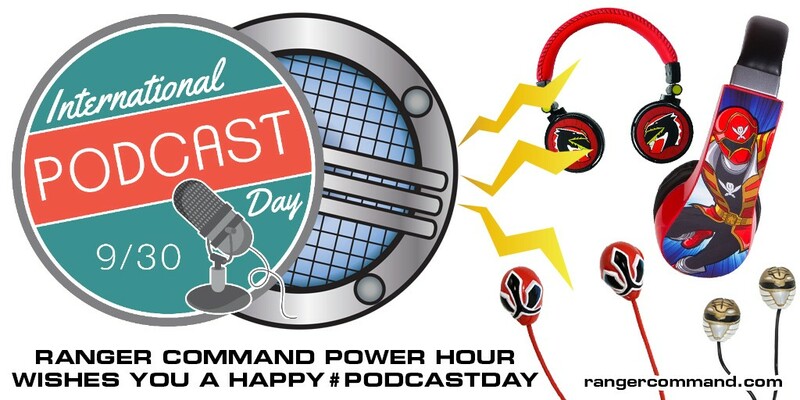 We also talk about the latest news in the fandom like the final Power Rangers Dino Charge episode titles, the latest Legacy items found by Morphin' Legacy and New York Comic Con's exclusive Power Rangers vinyl. Then we answer your questions in our Questions from Ranger Nation segment and we read your thoughts on the reboot casting sides. It's time to drop the bull$@#%! Hey everyone. Voting is now open for We Love Fine ‪#‎PowerRangers‬ contest. Here are my designs. Please use the links below and vote 5 stars if you want to see these get made. Every little bit helps!. Winning any one of the prizes will definitely help out the podcast for a long time. Thanks! Last edited by trekkieb47; September 30th, 2015 at 10:54 AM.